Everyone likes a deal. So let's help each other out. 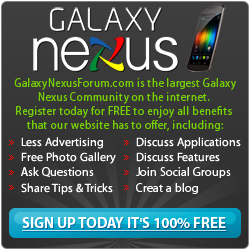 If you find the Galaxy Nexus available online or at a B&M store for less that the normal on or off contract price just post it up. Wonder if there will be any off-contract price deals? Probably not right away (if at all), eh? What?! How can that be when Verizon's full retail price is $650?? Think VZW's giving a price break? That's how they make money. Best Buy will most likely have the full retail price listed as $799 as well. Well, crap. For that price difference, I can give the Evil Empire [more of] my money. Yes but Best Buy will price match VZW. I did it when I had the RAZR. Yes they will. I have done this three times this year.